AB463651GZ : SAMSUNG 3.7v 960mAh Li-ION battery for U960, U450 etc. 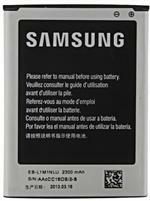 AB463651GZ : SAMSUNG 3.7volt 960mAh Li-ION battery for SCH-U960 Rogue, SCH-U450 Intensity cellphones. 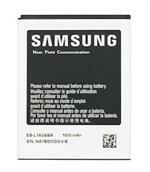 EB615268VU : Samsung 3.7v 2500mAh Li-ION battery for Galaxy Note 1. New, original OEM Samsung product. 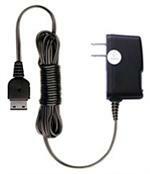 Fits Samsung N7000, i717, T879, Galaxy Note. 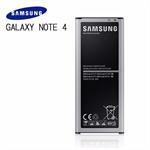 EB-BN910BBE : Samsung 3.7 volt 3220mAh Li-ION battery for Galaxy Note 4, N910, N910A, N910P, N910V, N910T. 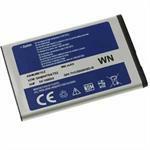 Replaces battery #s EB-BN910BBUSTA, EB-BN910BBK, etc. 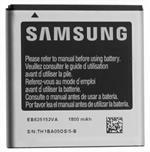 EB504465VA: Samsung 3.7volt 1500mAh 5.55Wh rechargeable Li-ION battery for cellular phones. Fits Samsung Galaxy Focus II, Intercept, Transform, M910, R800, R900, SPH-M910, SPH-M920, etc. 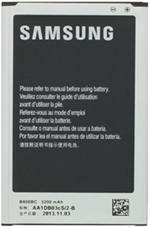 AB553446GZ : SAMSUNG 3.7v 1000mAh Li-ION battery. Fits many phone models - see x-ref list. 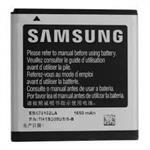 EB425161LU : SAMSUNG 3.7volt 1500mAh Li-ION battery for Galaxy SIII mini i890, i8160, Galaxy Ace 2, S7562, S7560M, etc. EB-L1D7IBA : SAMSUNG 3.7 volt 1850mAh Li-ION battery for GALAXY S2, i727, T989, i547, i547c etc. 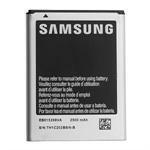 EB-L1A2GBA: 3.7v 1650mAh rechargeable Li-ION battery for SAMSUNG GALAXY S2 (SGH-I777), Samsung Galaxy S II Series: i777, i9000, t989. 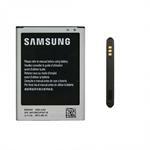 Galaxy S4G battery - 3.7v 1650mAh Li-ION. Fits i9000, i897, i917, etc. 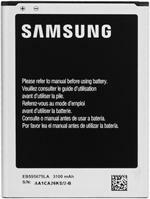 Galaxy S4G battery: 3.7v 1650mAh Li-ION. Fits Samsung SGH series: GTi9000, i897 Captivate, i917 Focus, t959 Vibrant Galaxy S, t959v Galaxy S 4G; Samsung SPH Series: d700 Epic 4G Size: 2" tall x 2" wide x 0.22" thick. Has 3 contacts on top. 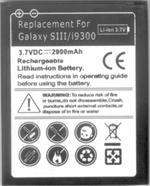 Galaxy SIII battery: 3.7volt 2900mAh Li-ION. Fits i9300, i747, L710, T999 etc. 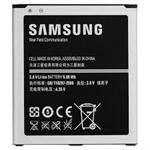 Galaxy SIII battery - for Samsung Galaxy S3, i9300, i747, L710, T999, i535, etc. Specs: 3.7v 2900mAh Li-ION battery. Size: 2.5" tall x 2" wide x 0.21" thick. Has 4 contacts on top. 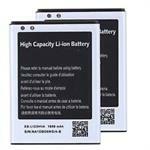 EB-L1G5HVA : 3.7v 1950mAh Li-ION battery for SAMSUNG S Blaze 4G T769 i577. AB653443CA: 3.7v 1100mAh Li-ION battery for Samsung. Fits ETERNITY 2 II A597 SYNC A707 A706. BP-G530: 3.7v Li-ION battery for SAMSUNG. FitsSAMSUNG GALAXY J3 2016, GALAXY EXPRESS PRIME, GALAXY AMP PRIME, GALAXY J3 /J320M/J320A, GSM ATT/CRICKET, J320/J320P/J320FN/J320R4/J320VPP (CDMA) SM S327V Galaxy Sky S320VL, etc. 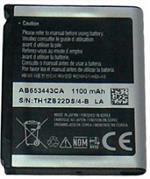 BLI10411.5 : 3.7v 1550mAh Li-ION battery for SAMSUNG GALAXY S 4G phones, etc. 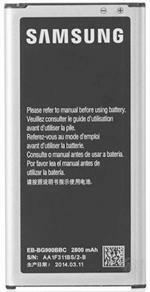 BLI10411.5 : 3.7v 1550mAh Li-ION battery for SAMSUNG Captivate, Captivate Glide, Mesmerize, EPIC 4G, FOCUS, GALAXY S 4G, SGH-I927, SGH-I897, SGH-I917, SGH-T959, SGH-T959V, SPH-D700, Vibrant, etc. 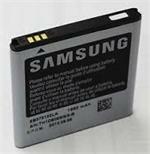 Galaxy SII battery - 3.7v 1800mAh Li-ION. 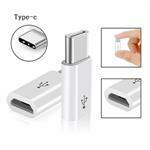 Fits Samsung i9100, etc. 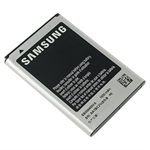 Galaxy SII battery - for Samsung. 3.7v 1800mAh Li-ION rechargeable. Size: 2.3" tall x 1.8" wide x 0.2" thick. 4 contacts on top. Fits i9100 series, etc. CLZ575SG : 3.7v 2100mAh Li-ION battery for Samsung Galaxy S III, etc. CLZ575SG : 3.7v 2100mAh Li-ION battery for Samsung Galaxy S III, etc. Also fits Samsung GT-i9300, SCH-R530, SGH-I747, SCH-I535, SPH-L710, SGH-T999, Galaxy S III Sprint L710, Galaxy S III US Cellular R580 and Galaxy S III T-Mobile T999.